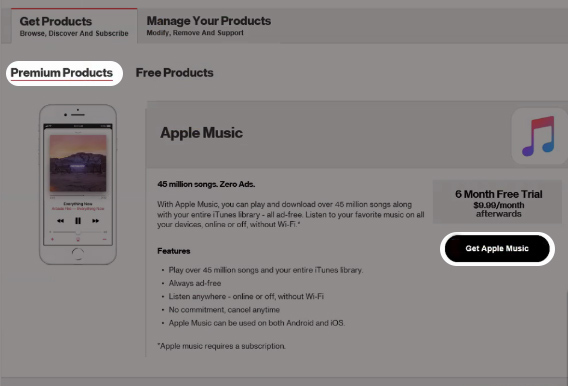 Existing Apple Music subcribers must cancel current Apple Music subscription prior to taking advantage of the offer. Apple Music is available for Android® devices running 4.0 or higher and for Apple® devices running iOS 10.0 or higher. Android users must download Apple Music from the Google Play™ Store. An Apple ID is needed to use Apple Music. Check out these FAQs to see if your plan includes Apple Music. Only the Account Owner or Manager can perform these steps; here's additional info on account roles. From the Premium Products section, click Get Apple Music. 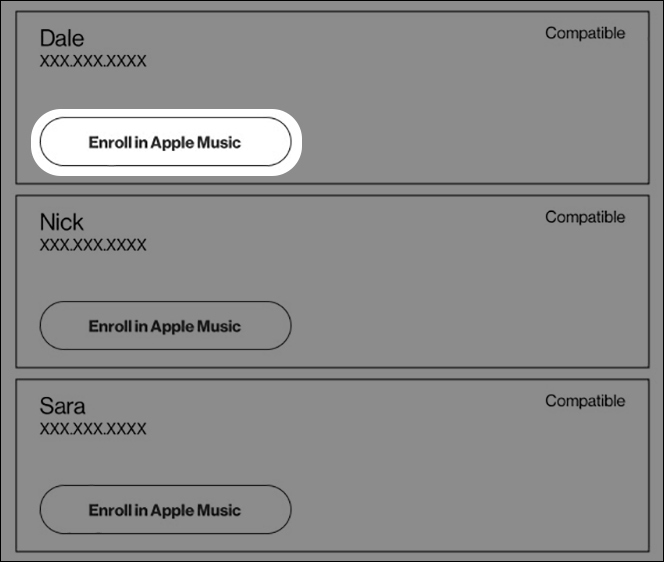 To continue, click Enroll in Apple Music on the preferred compatible line. To continue, accept the Terms and Conditions then select Confirm. 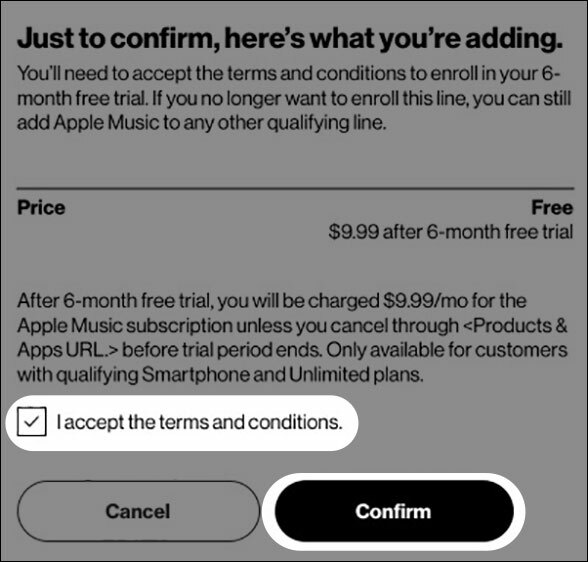 Once Terms and Conditions are accepted, 'Add or opt out of Apple Music' appears with additional info. A confirmation text is also sent to the applicable mobile number with additional enrollment instructions.